Feinberg Pavilion offers Northwestern Memorial Hospital inpatient care services and more.This facility offers patients privacy, security and high-quality care. Each private patient room includes its own restroom and shower. All rooms include exterior views and window seats that convert to a comfortable visitor beds.Feinberg Pavilion is located on the Northwestern Memorial Hospital main campus. Parking is available at discounted rates for patients and visitors of Feinberg Pavilion. 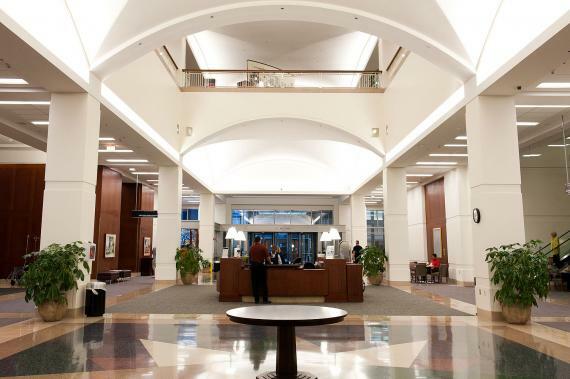 Northwestern Memorial Hospital offers several amenities, including flower and gift shops, online services, and food and beverage options, for your convenience. Download our Services and Amenities Map.